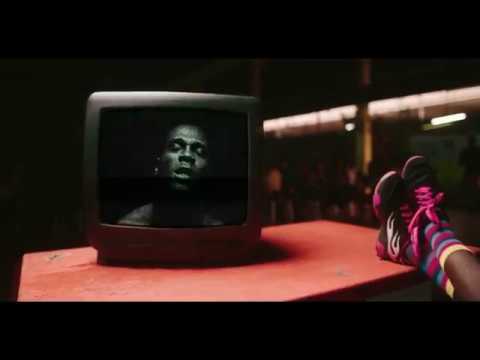 Burna Boy presents the official music video to his latest single dangote , produced by Kel P.
In a 360 degree spin, Burna Boy switches from the fun and good vibes of ’Killin’ Dem’ to a more intense, socially charged narrative in his new single ‘Dangote’. In his usual manner, the afrofusion artiste addresses a number of the economic problems the youth in Nigeria face on a day-to-day basis and how they deal with it. Two things set apart this video, directed by Clarence Peters, from the others. Firstly, we see these stories told from the perspectives of the people living these lives, and we also see the consequences of their actions. As Burna Boy Dangote new video sings about the hustle in true Fela style, we are taken from one story to another and given a sense of how all of it is linked. The hustle must go on, but we also need to be aware that for every action there is often an equal and opposite reaction. We also appreciate the saxophone solos at the end, paying tribute to Fela. Watch the visuals Burna Boy Dangote new video by Clarence Peters Shot it!